Crossposted with For the Birds. 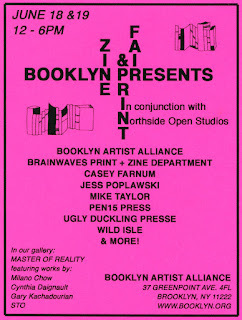 After an eventful Bushwick Open Studios the other week, today commences Northside Open Studios, a festival of art shows, artists' open studios, and events in North Brooklyn. 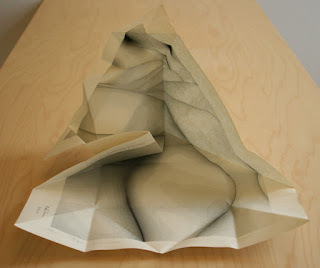 I've been working with Hrag Vartanian to co-curate Presents: Three Months of Mail Art for Hyperallergic HQ, a show of over 100 artists and widely varying mediums, that will debut tomorrow, Friday June 17, at Hyperallergic HQ. I am thrilled about the opening as I've been writing for Hyperallergic on the subject and living/working among these entries for a month now. L Magazine named the show a "must-see event" during Northside Open Studios. 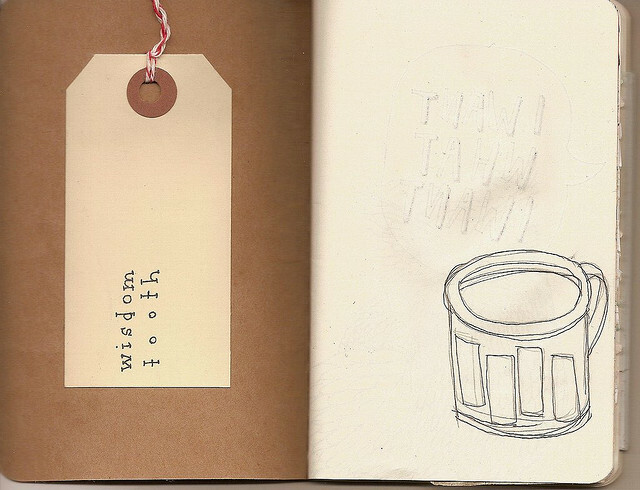 For more information, check out Hyperallergic. Aimee Lusty, newly-named curator at Booklyn will be hosting a zine and print fair on the street below Booklyn's own space in Greenpoint. Aimee is one of my favorite local art-makers and creative idea-havers so I am excited to see what she comes up with for Booklyn. She recently debuted MASTER OF REALITY, a group show featuring Milano Chow, Cynthia Daignault, Gary Kachadourian and STO, which will also have open hours during the zine and print fair. 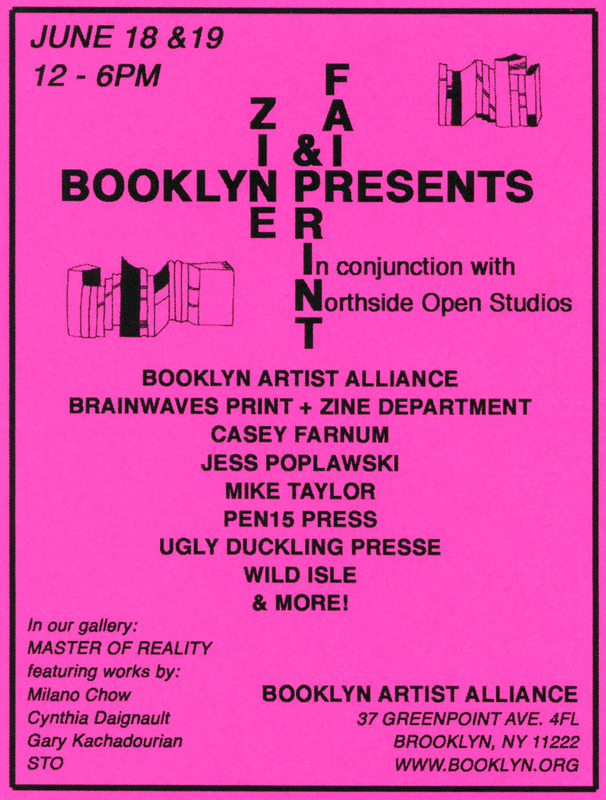 BRAIN WAVES, Storefront's zine and print collection (as well as my curatorial baby) will be tabling during the fair, along with For the Birds' own Lauren Denitzio. More information is available at Booklyn. We hope to see you out this weekend!